Happy Holidays! A free gift coming your way today as well as another gutsy homework exercise down below, to achieve one thing in your career – CLARITY and being crystal clear on what you really want. Did you know that with every coaching program you register in – 3, 6 or 9 months you receive as a gutsy bonus, access to over 15 hours worth of motivational, how-to strategy group coaching calls you can hit the ground running with immediately? These are prior group coaching sessions which I’ve led, discussing the very same challenges that you are experiencing – in your shoes. In these audio calls you will hear similar issues from professionals (no names or companies shared) who work in healthcare, finance, marketing, insurance, are writers, and entrepreneurs – you name it. It doesn’t matter what industry or line of work you are in – we have all been there and I promise you there isn’t a leadership topic that you can’t relate to. Different people, and environment yes, but underneath the very same challenges. We were reviewing these calls last week and there was one session which I felt you can benefit from today, in light of a new year coming just around the bend. It speaks to owning your value, and how to change your outer game by changing your inner game. This is your mindset, your inner crow barometer, and very much your comfort level with selling yourself, by being yourself when speaking to your RESULTS. This is my gift to you, may this recording support you in your shoes, as the intrapreneur or entrepreneur you are – enjoy. As a BONUS to private coaching you receive all access to call recordings ranging from topics that speak to: getting promoted, advancing to a new role in your organization, leveraging your soft skills, obtaining more flexibility and/or telecommuting to spend more time with family, navigating the art of small talk, getting comfortable leading in the boardroom, confronting a difficult work situation, selling yourself powerfully, calling out someone without sounding emotional, how to put your negativity armor down, how to approach a roadblock or problem you are having at work and avoid confrontation, leading someone older than you, communicating your expectations without anxiety, being appreciated by co-workers, tolerating a negative environment and the list goes on and on. After listening to this recording, reach out with any questions and I promise to respond and get to every one which comes in – anonymously. 6-MINUTES TO ACHIEVE A GUTSY MINDSET, ROOTED IN YOUR VALUE: LISTEN TO RECORDING HERE. Gutsy homework assignment and theme this week: Designed a life she loved. As you get ready for that next chapter in your career which works for both you and your family, if you’re not sure where to start designing intentionally, start by putting yourself there in your mind. Here are some questions to help you get started visualizing and aligning with what that next opportunity looks like. Journal out your answers to the questions below with some quiet time (no phone, no texts, no e-mail, no interruptions) over a glass of wine, or cup of tea and be present to whatever shows up from your gut. I recommend background music to soothe you or any white noise (a fan, running water etc.). This will silence random thoughts from cropping up, keeping you focused on what you want below. I’ve had professionals later tack on images next to some of their responses, to lock in their desires even further. The goal of this exercise is to feel your way into your future and let go of any BUTS, HOWS and WHAT ABOUTs. Bring the same kind of energy you would bring when you sit down at a restaurant ordering a meal. Do we ever have any doubt about whether our waiter or waitress will show up? No, we kick back, and wait in full expectation. Bring that energy to this experience as well. Feel into what you want and fully expect to create. Through our connection here, I’m setting an intention that you do. : ) You’ve got this. What does ideal career look like? How do you travel to work? How long does it take to get there? Are you working for yourself or for an organization or both with a side hustle? Are you mainly working outdoors or inside? What options are around you for having lunch? Are you seated next to a window? Are you in a boardroom? Do you share an office? Who do you want to eat with? What do you do for personal fulfillment after hours? Where do you want to be in one year after you are hired? What time do you start and leave work? Do you have mainly face time with people or are you on the phone? What time do you normally get home for dinner? How often are you home during working hours? p.s. don’t forget to listen to your free gift here. Ready to make your Gutsy Breakthrough and design the career (and life) you want? Learn more on how to get from where you are to where you want to be. Coaching programs to suit every budget. 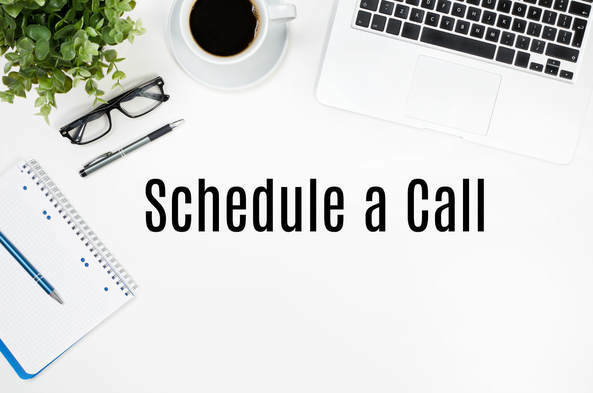 Schedule a call, learn more. Reach out at info@inrshoes.com and I’ll see if I can help. Learn more here. Enjoy this newsletter? Share it with friends, have them join here. Know someone just getting back to their career, returning to the workforce, have them reach out and try a coaching program to jumpstart their journey, by hitting the ground running owning their value. info@inrshoes.com.